In a growing trend, U.S. companies must be aware, if your business practices are built around hazardous activities that pollute the environment, you will be forced to 'Pay The Bill." In case you missed it, the Department of Justice (DOJ) and the Environmental Protection Agency (EPA) announced a $5.15 billion settlement with a subsidiary of Anadarko Petroleum. The two federal agencies indicated that this settlement is the largest pollution cleanup settlement in history. The settlement stems from pollution left behind by the Kerr-McGee Corporation, which was acquired by Anadarko in 2006. Kerr-McGee's decades-long legacy of polluting industries dates back to at least 1928, and included uranium mines, wood treatment facilities and chemical manufacturing plants. The DOJ claimed that between 2002 and 2005, Kerr-McGee transferred the more profitable oil and gas portions of its company to a new entity, referred to in the case as "New Kerr-McGee." In 2006, it transferred other parts of its company associated with the years of pollution into a separate company, Tronox, which was left insolvent. Tronox couldn't pay the costs of the environmental cleanup and went into bankruptcy in 2009. The government argued that Kerr-McGee devised this scheme to evade responsibility for cleanup and instead passed the cleanup costs on to local communities and the federal Superfund program. A court last December found Kerr-McGee guilty of fraudulent conveyance. 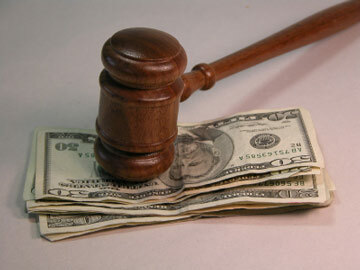 The court also held the new company and its parent, Anadarko, liable for the cleanup costs. "Kerr-McGee sought simply to walk away from it all through a corporate shell game," said U.S. Attorney for the Southern District of New York Preet Bharara in a press conference on Thursday. The company, said Bharara, "polluted indiscriminately and left others holding the toxic tab." "If you are responsible for 85 years of poisoning the earth, you are responsible for cleaning it up," he said. $1.1 billion for a manufacturing facility in Henderson, Nevada where pollution has contaminated Lake Mead. $985 million to cover cleanup costs for 50 abandoned uranium mines in and around the Navajo Nation in Arizona and New Mexico. $1.1 billion will be used to cover cleanup costs at the Kerr-McGee Superfund Site in Columbus, Mississippi. $217 million of the settlement for cleanup costs at a former Kerr-McGee wood treatment facility in Manville, N.J.
"I think this case stands for a principle that is really important to us, which is that the polluter pays," said Cynthia Giles, the EPA's assistant administrator for the Office of Enforcement and Compliance Assurance. "When you make a mess, you've got to clean it up." With each passing day, it becomes more evident that litigation and huge fines await those companies that do not have a good handle on their hazardous waste procedures. Big or small, federal and state regulators are increasingly pursuing businesses over toxic pollution to recover funds for costly cleanup. It is important for companies to understand their requirements and work with hazardous waste vendors that are on top of these complicated regulations. Take a moment today and download our eBook “The Top 10 Hazardous Waste Violations and How to Avoid Them,” and learn how to keep your company out of the headlines.